If you have graduated in the past year, then don’t miss our next graduation ceremony! 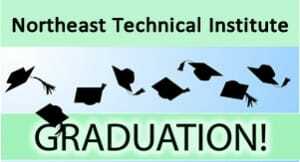 NTI Bangor will have a recent NTI Graduate speak about their experience as well as a special Guest Speaker. There will be light refreshments for graduates and guests following the ceremony. Three guests per student are permitted at no charge (a $10 fee for each guest over 3).